Meccaniche Veloci SuperQuadro Colour is loaded with grit and style. 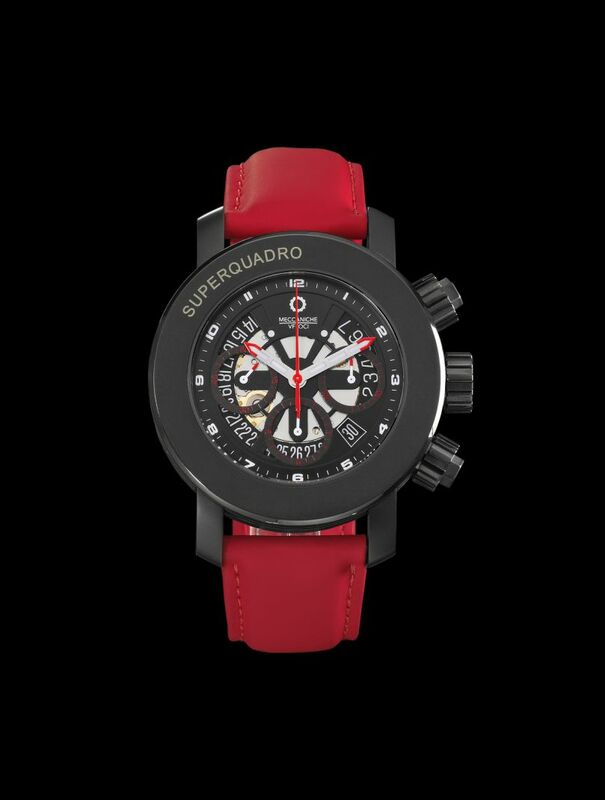 The model is a new version of the well-known SuperQuadro, the chronograph inspired by one of the most efficient types of motors. The dial for this new model lets the movement partially visible and features coloured details, such as the top of the hands and the straps. Colour and grit are mixed together for a dynamic effect. 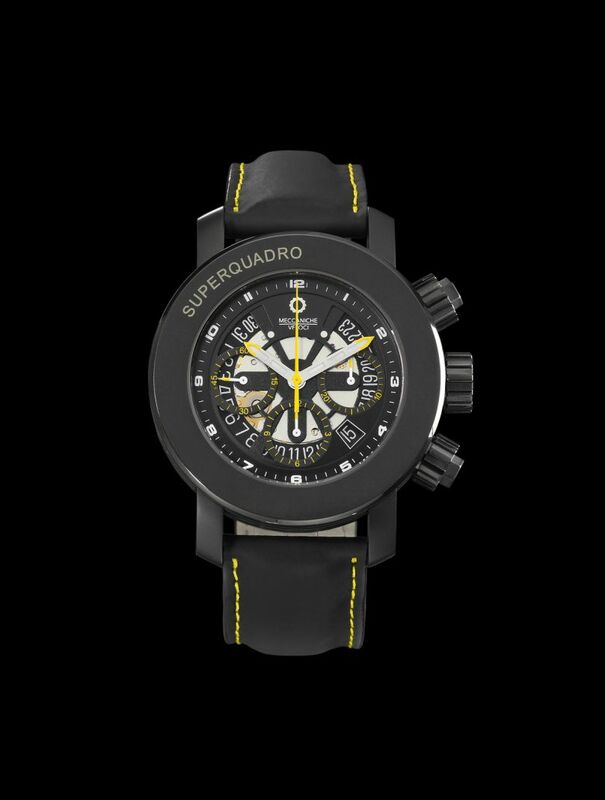 In creating the SuperQuadro Meccaniche Veloci has combined refined materials and the innate passion for motorbikes all the while maintaining the perfection of the movements. The fascinating semi-transparency reveals the perfection of the movement and arouses admiration for the delicate structure. The technology comes to life and proudly shows itself as a true work of art. The attention to detail is expressed through refined elements such as the case also available in titanium with a black finish, with a thickness of 15 millimeters and a diameter of 45, containing an ETA (Valjoux) 7753 mechanical automatic movement with screw-down crown and buttons to ensure water resistance up to 10 atmospheres.